Make your plans — quickly. D.C.'s famed cherry blossoms are now expected to reach peak bloom April 1, the National Park Service (NPS) announced Tuesday. The NPS had previously predicted peak bloom for April 3-6. "Determining the peak bloom date requires checking both the forecast and where the trees are in the blooming process," the NPS tweeted Tuesday. "The indicator tree is in full bloom & with temps forecast for the upper 70s this weekend, we now predict peak bloom will occur April 1!" Peak bloom is defined as the day when 70 percent of the Yoshino cherry blossoms are open, the NPS says. The blossoms have already reached phase four of their blooming period, the NPS said Monday. This stage, known as peduncle elongation, means pink buds are now visible on trees, but they have not quite bloomed. Stage five, when puffy white blossoms are visible, will be the penultimate stage before peak bloom. Over the past 15 years, there's typically been a weeklong wait between the fourth and fifth phases — but it seems like the blossoms will be moving along a lot faster this year. Blossom fans tend to watch the weather carefully, because peak bloom dates and the length of the blooming period vary each year due to weather. The peak bloom dates are the NPS' best guess at when the blossoms will be in their prime. "As we say, if you can tell us exactly what the high temperature's gonna be every day from now until peak bloom, we'll hit it exactly on the nose. 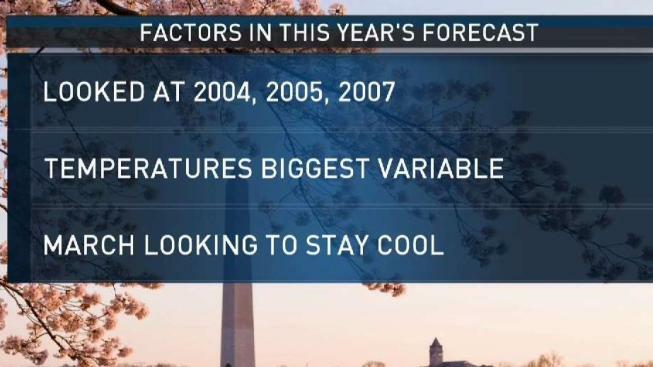 But, as your meteorologists know, it's not an exact science," NPS spokesman Mike Litterst previously told News4. The NPS says the most likely times for peak bloom are generally between the last week of March and the first week of April. Extreme temps have caused blooming as early as March 15 (in 1990) and as late as April 18 (back in 1958). 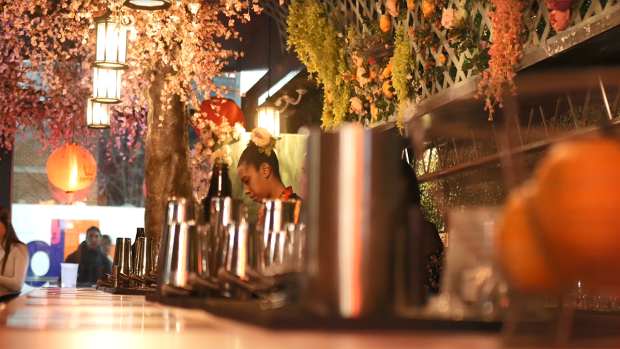 It's almost cherry blossom season, and D.C.'s popular Cherry Blossom Pop-Up Bar is back open. Here's a look at the offerings this year, including floral-themed cocktails, and ramen.